9891 Evans Rd, Remsen, NY.| MLS# S1161646 | Benn Realty LLC -Since 1968, and now with offices in Old Forge and Remsen to serve you better. Beautiful Country Home situated on a quite road and 11.36 acres. This home features 3 bedrooms, 2 baths, eat in breakfast bar, built in propane/electric stove, tongue and groove walls, and a fully finished basement with a separate entrance. A large 2 stall garage with a full deck attached. 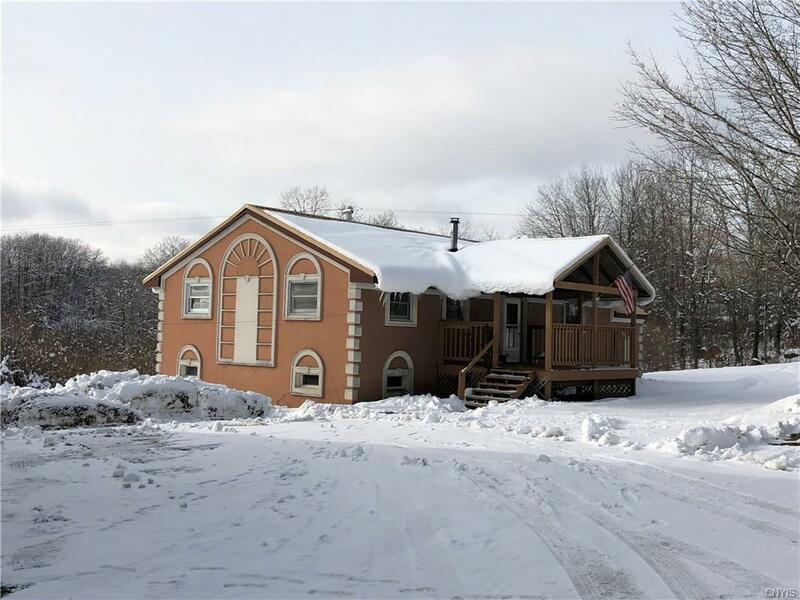 Centrally located with a short drive to Utica or to the Adirondack Region to enjoy the Local skiing and Snowmobile trails. Directions To Property: Take Route 12 To Pritchard Rd. If Coming From The South Left Onto Prichard, From North Right Onto Prichard. Go Up Prichard Rd About A Mile Then Right Onto Evans Rd. Property Is On The Left.